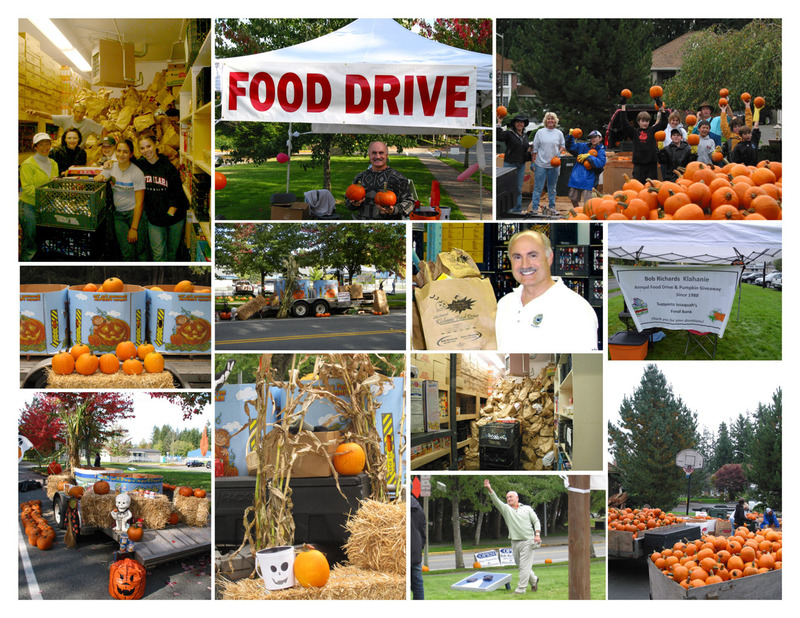 Bob founded the Annual Klahanie Food Drive in 1988 to benefit the Issaquah Food and Clothing Bank. Since that time, the yearly event has provided more than 90 tons (180,000 pounds) of food to needy families in the area. 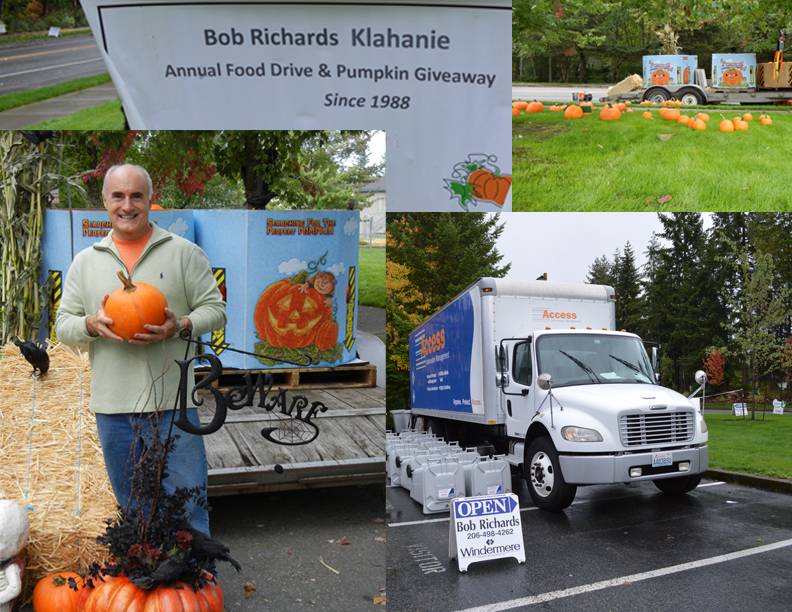 Every year Bob publicizes the event, and then sets up a central location within Klahanie to receive donations. 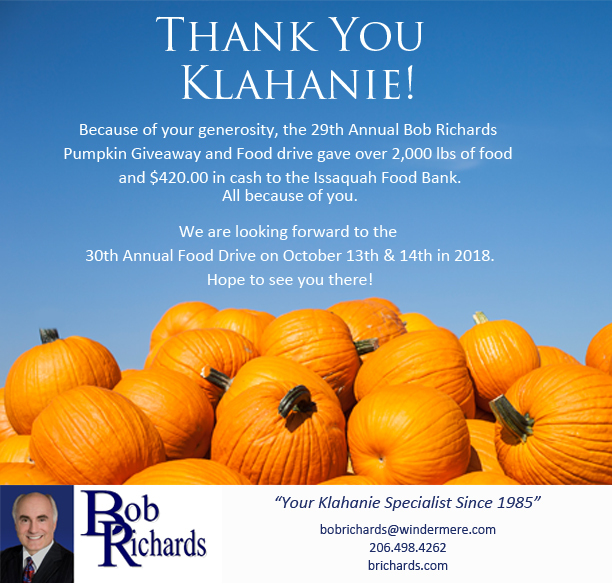 Pumpkins are given away to everyone who donates. Bob gives all the credit to his neighbors: “We couldn’t do this without the community’s generosity”. 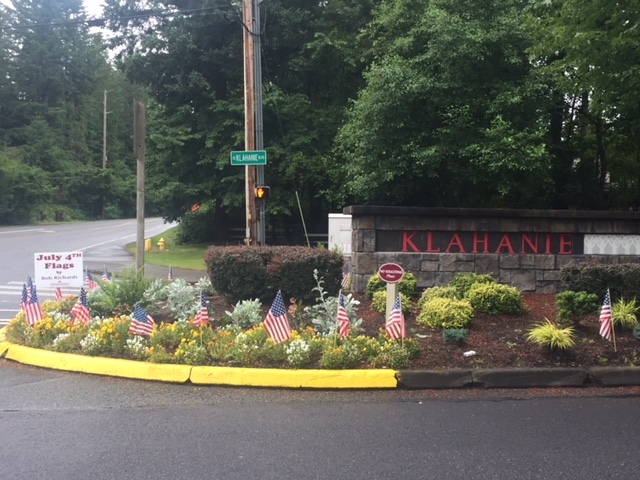 For the last 29 years Bob has been placing flags in throughout the Klahanie community and has very much enjoyed the thumbs up and horn toots that the flags create. He sincerely everyone has a safe, fun and happy Fourth of July.